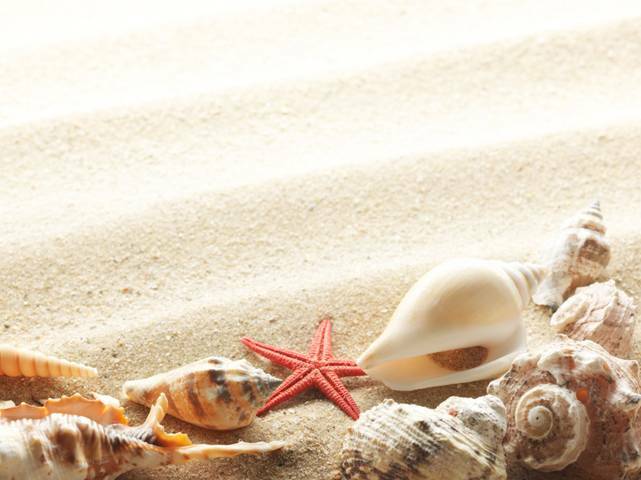 ln my last two blog posts l talked about a winter festival and a spring festival, and now it is time to talk about a summer one – actually one that is right at the end of the summer. Some schools and churches have harvest festival celebrations where people bring food to be distributed to other people who might be quite needy. 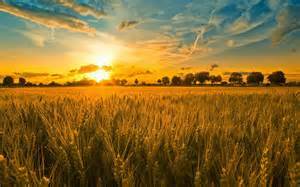 This is a way of showing thanks for the harvest – without which we cannot live; and then sharing it with others. This festival is very old, in fact, many hundreds of years old. 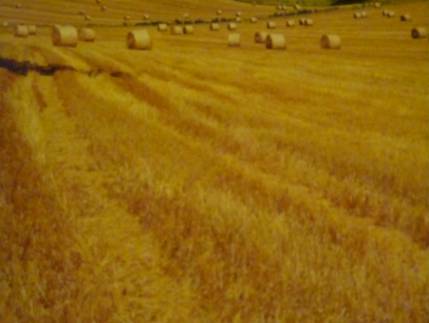 The festival is called Lammas. 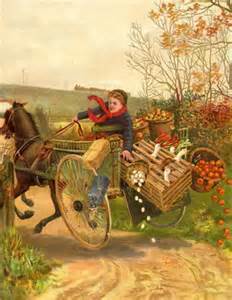 The word harvest comes from the old English word for autumn. 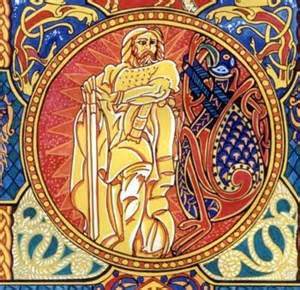 To commemorate Lugh the ancient peoples held processions, feasts and athletic games in his honour. With the first cutting of the corn this became the feast of bread. 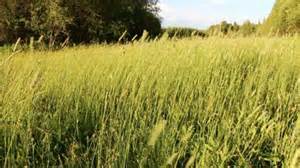 Lammas means ‘Loaf Mass’. 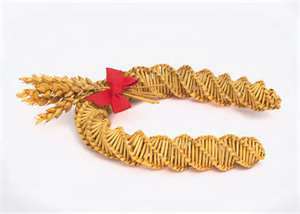 The last sheaf or ‘snook’ of corn was treated with great respect. 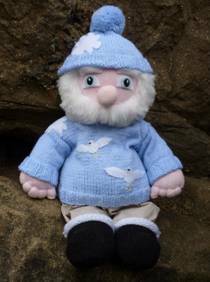 lt was left for the spirit of the corn to live in – otherwise it would have been left homeless. 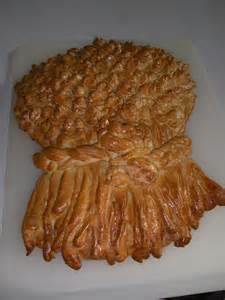 Sometimes this sheaf was made into a religious symbol called an idol. 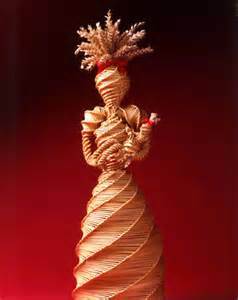 This became know as a corn dolly. This god was known as Ceres and gives us the word cereal. 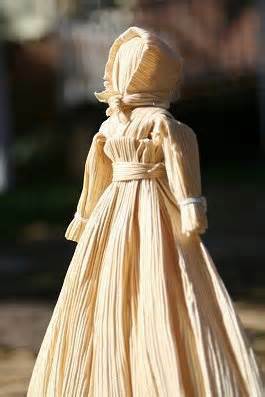 People still make corn dollies out of stalks as a hobby today; traditionally they were placed on the banquet (celebration dinner) table at Harvest Supper and kept until the following spring. People believed that the ‘spirit of the corn’ called the Corn Spirit was kept inside the corn dolly or idol and they ploughed it into the ground the following spring when the corn seed was planted again. This widespread tradition continued until the 1800s when the cutting of cereal crops was no longer done by hand but by machine. 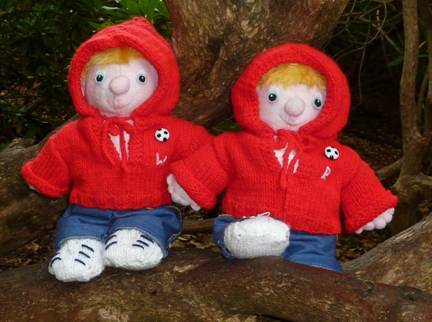 The dolls were not always the exact shape of a person; not like the plastic, toy dolls we have today. 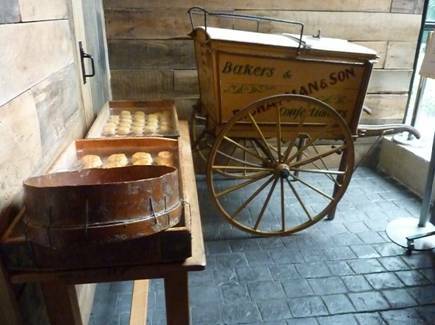 There were traditional designs that different parts of the country favoured. 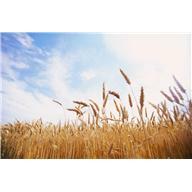 Stalks from wheat, oats, barley and corn are used. ln Kent, they still hang garlands of dried hops up in their rafters at harvest time. 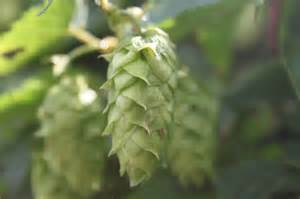 Hops are one of the plants used to make beer. Harvesting goes on through the autumn months and very importantly it is not just food to eat that is collected but seed as well so that crops can be planted the following year and the circle of the year can continue. lf you want to collect seed from your vegetables or flowers that have gone to seed, collect them on a dry day and keep them in paper bags or envelopes. Don’t forget to label them. Then put the paper bags into an airtight container once they have been thoroughly dried. Keep the tin or box in a cool place throughout the winter and don’t let it get damp. (Blog Post 80) Not all seeds will germinate or grow into exact replicas of their parents. 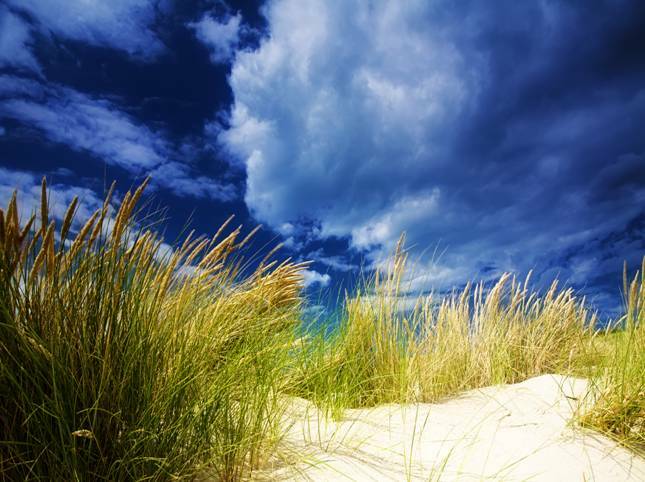 Sometimes, a new kind of plant will be produced. 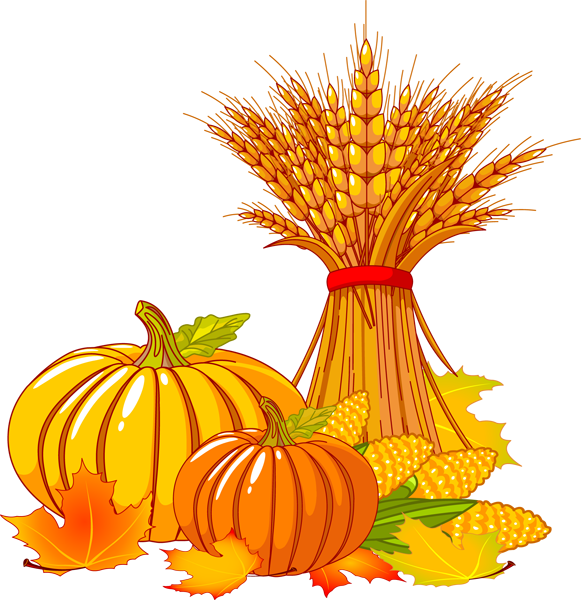 Harvest festivals take place all over the world depending on which time of the year most food is harvested. 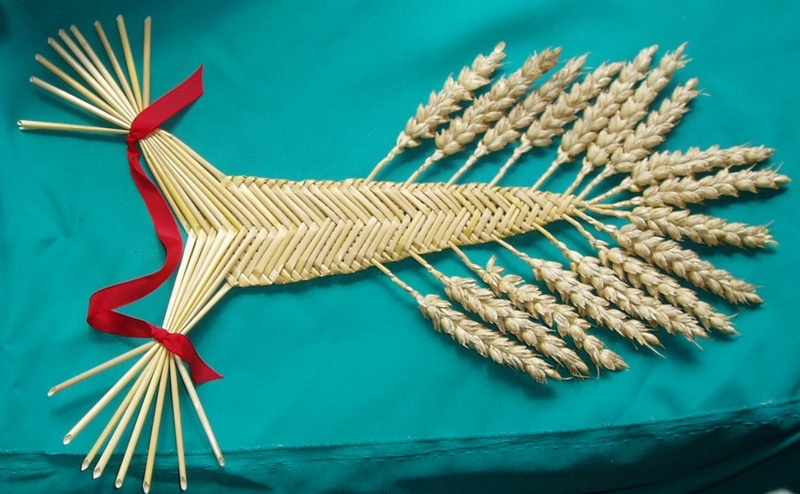 The Jewish religion calls its harvest festival Sukkot or ‘Festival of lngathering’. ln the United States there is the celebration of Thanksgiving at the end of November. 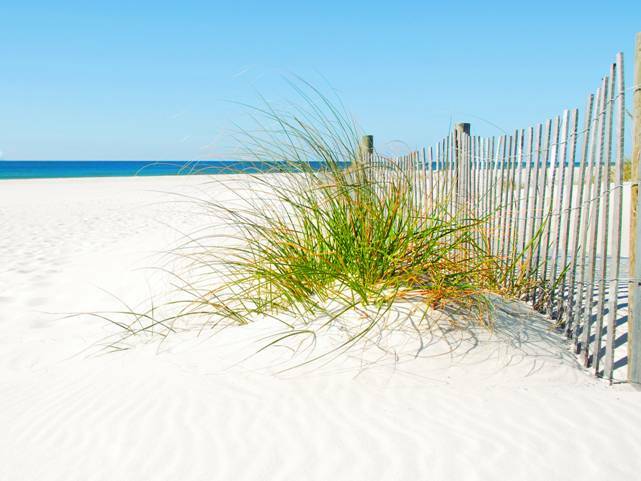 This started with the Pilgrims who settled in America and made it their new home. Do you have any special traditions associated with collecting the harvest where you live? Bob: Which side of the apple is the left side? Bill: l don’t know. 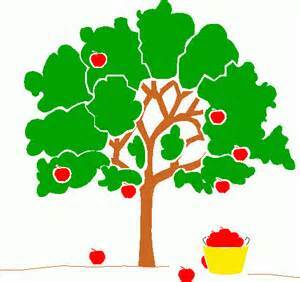 Which side of the apple is the left side? Bob: The side that has not been eaten! 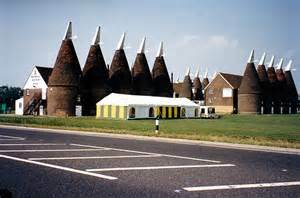 – they are kept nowadays and not ploughed back into the ground! One of the nice things about summer is that you can get out and play lots of different kinds of sports. Emily’s little doll especially likes playing tennis she told us, so Auntie Alice made her a tennis dress. If you would like the pattern here it is. You could thread a length of yarn or narrow ribbon around the centre and pull it into a bow at the back to help define the waist and add decoration. 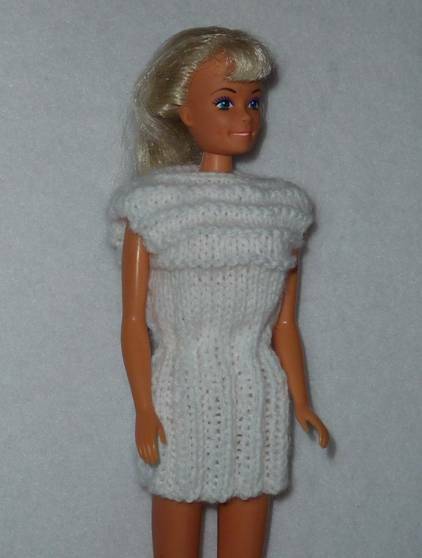 You could knit the skirt in white and the bodice in a different colour to give the dress a different look. What do the following phrases mean? 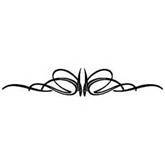 Embroidering flowers in ribbon is a way of making flowers that look three-dimensional. It is embroidering with ribbon. These simple flowers are made of ribbon but the stalks are thread and the centres are threads and beads. 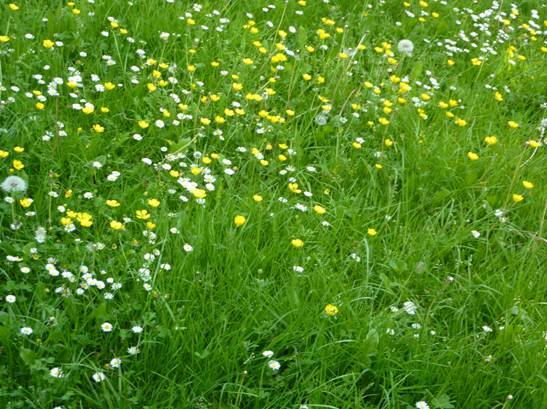 These daisies and buttercups are easy flowers to start with if you want to have a go. Use a soft backing fabric that has a loose enough weave that will allow you to push a large needle through it. Use a needle with an eye large enough to take your ribbon. You must use fabric that is very soft or has an open weave otherwise it will be very tough to work with. 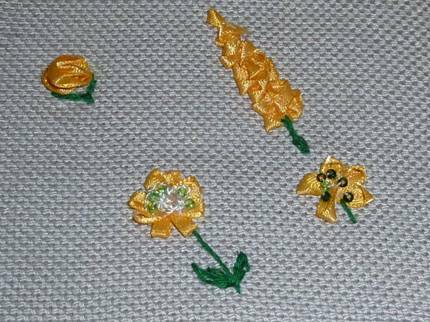 Ribbon embroidery can be used to decorate clothes or house hold linens or you can make little pictures to be framed or put on greetings cards. 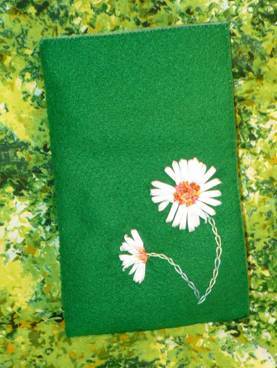 To make this glasses case cut 4 pieces of felt 11½cm/4¼ inches by 18cm/7 inches – but make it wider if you have very large sunglasses. Or you could use 2 green pieces and 2 pieces of another colour to make the lining. One metre of each colour of ribbon should be sufficient. 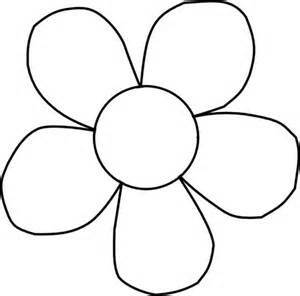 Draw two circles on the felt to mark out where you want your daisy faintly in pencil. Anchor one end of the ribbon with sewing thread when you get started. 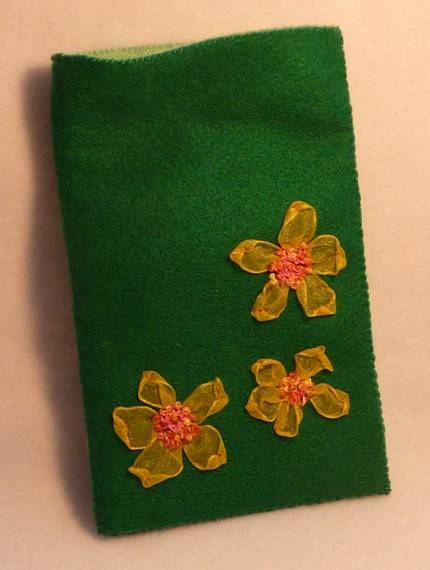 Sew your petals onto the felt using a needle like a knitter’s yarn needle threaded with narrow white ribbon. 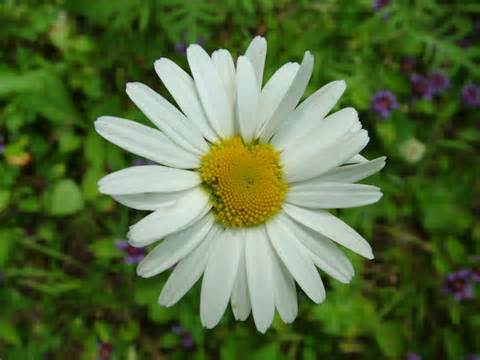 Go around the daisy once leaving gaps between the petals to get the direction of the petals right then go around again with a second layer leaving a couple of gaps to make the flower look more real. Don’t let the ribbon twist at the back of the felt but it is alright if a couple of the petals twist at the front because they will look more natural. You can use yellow embroidery thread in the centre but the rainbow thread used in the design in the photograph below makes the colours of the flower look more interesting and vibrant. 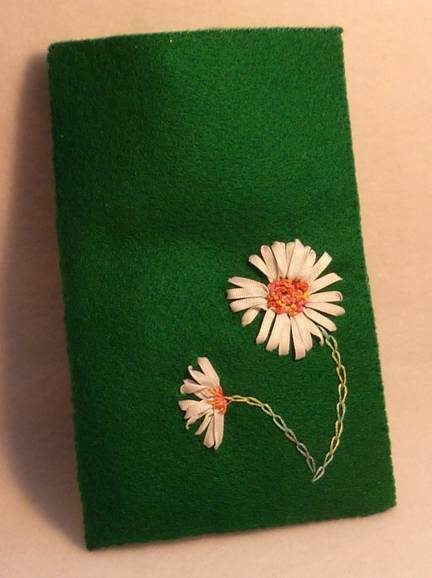 Fill in the centre of the flower with French knots made by winding the embroidery thread around the needle 5-6 times. Add some loops on top to give more texture. 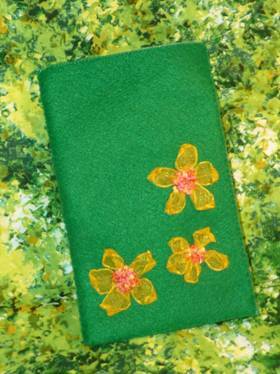 Add stalks in green embroidery thread using chain stitch. 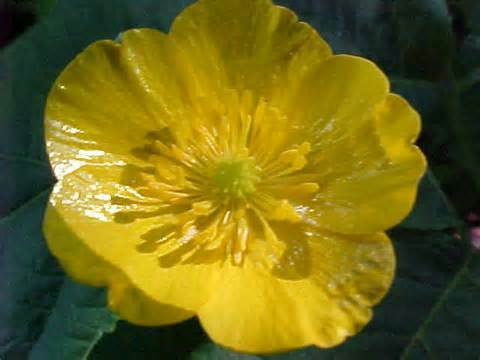 To make the buttercups you must use very soft ribbon otherwise you will not be able to sew through it. Bring your needle up from the edge of the centre circle and down into the fabric ½cm/¼ inch from the edge of the petal and through the ribbon. Pull the needle down through the fabric – the end of the petal will automatically curl up as you take the ribbon down through your fabric. Repeat this process four times more. 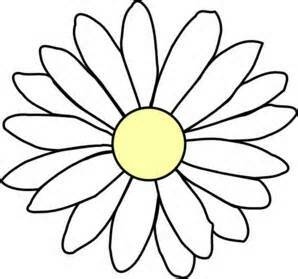 Finish the centres off as you did the daisies – or you could make the centres smaller and add straight stitches coming out of the centres into the petals. To construct the case, sew the four thicknesses of felt together along the sides and bottom. But separate the top into two and sew along the front and back. You need the inner skin to stop the glasses catching on the back of your embroidery as you slip them inside.